Also referred to as a “sunchoke,” this high-iron root vegetable is a nice alternative to potatoes and brings with it a welcome crunch. Serve them on their own or toss finished chokes with steamed collard greens or kale for a heartier and more colorful side dish. 1Scrub artichokes well and slice widthwise. Place cast-iron skillet over medium heat. 2Add olive oil and sliced chokes and sauté 2–3 minutes. 3Add garlic and lemon juice and continue sautéing 4–5 minutes. 4Deglaze pan with 1 tablespoon water at a time, as needed. 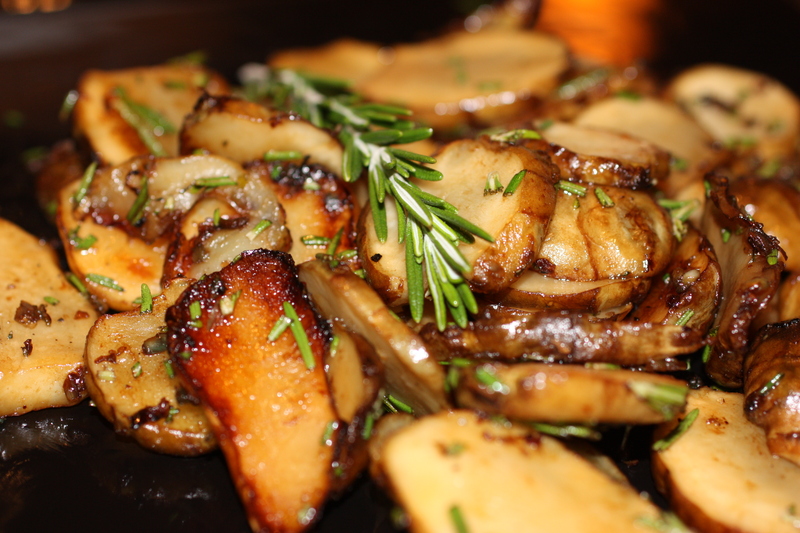 5Add rosemary, salt and pepper and sauté 1 minute longer or until chokes are caramelized. 6Remove from heat, add more salt and pepper as desired and serve.